Measuring the 3D built environment is one of the main skills of 3DScan. The relief with the 3D laser scanner is the most modern technique of relief, as it offers, in real time, the spatial coordinates of a set of points, called cloud of points belonging to the detected structure, from which it is possible to obtain through dedicated software, the desired graphic representations. 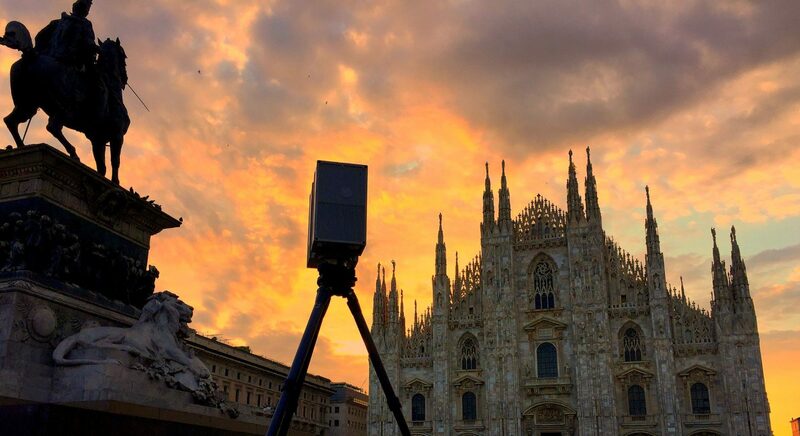 When, for example, it is used for surveying existing buildings, the 3D laser scanner is able to quickly determine both the geometric characteristics and the physical structures of the object. Moreover, when it is integrated with the BIM (Building Information Modeling) this very modern technique allows our clients to quickly and accurately and accurately analyze the structure or the building even before the design phase begins. With the advent of BIM, the major AEC companies are extracting greater value from their investments by using Scan-to-BIM services in their workflows. When used to survey existing buildings, the 3D laser scanner can quickly determine physical structures, and when integrated with BIM allows our clients to quickly and accurately analyze and access the property even before the building begins. design phase. With these data, the designer / owner can better evaluate, compare and classify the environmental and financial impact of the restructuring intervention. Whether it is a restoration, scientific analysis, security of the work or virtual presentations of historical sites, the laser scanner survey guarantees the possibility of documenting historical buildings and archaeological sites in a complete and detailed way. laser scanner technology represents the most precise methodology to date for the cataloging of archaeological assets, allowing the planning of the recording, analysis and archiving of data in a totally innovative way and proposing three-dimensional geo-referenced digital surveys that can be connected to specific databases in order to create easily questionable GIS. In the local area the survey by laser scanning, thanks to the direct interface with GPS allows a fast geo-referencing of the 3D survey. It allows to detect in a very short time a considerable amount of data with very high detail that can be used for the calculation of sections, creation of level curves and volumetries. In Geology the Laser Scanner allows the rapid creation of DEM to check the stability of the risks and calculate the masses in emergency conditions. Furthermore, interfacing with GPS is a fast and automatic georeferencing. The construction and restoration of the boats are based on 3D and 2D measurement and documentation techniques to ensure the construction of boats, yachts and sailboats of high quality from the design phase to the actual production.